Walker Canyon (top) and Lake Elsinore (bottom). 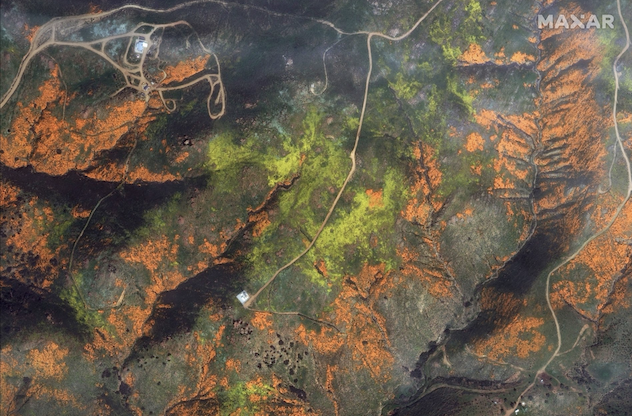 "DigitalGlobe collected a new set of images yesterday (March 19th) of the 'Superbloom' near Lake Elsinore, California," a company representative told Business Insider in an email. "The colorful satellite imagery shows the hillsides along Walker Canyon filled with blooming poppies as well as hundreds of cars parked nearby and people hiking along trails in the area." 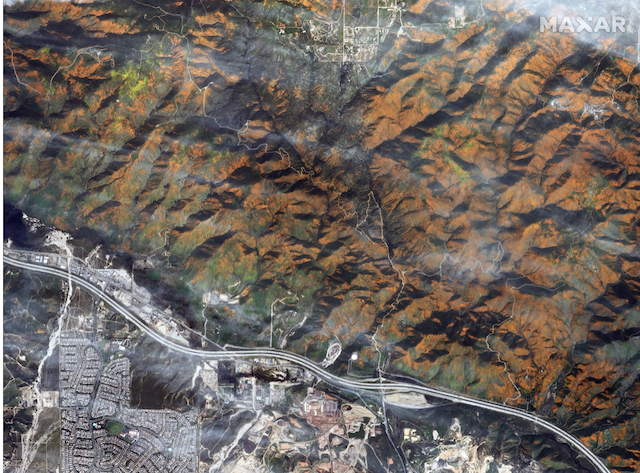 The photo taken by WorldView-2, which launched in October 2009, shows an overview of Walker Canyon (top) and Lake Elsinore (bottom). Zooming into the trail-head people can be seen as small dots walking up the hills and toward patches of flowers.